Jason Kenney is hoping to enact some big plans with Alberta’s eastern neighbour. The United Conservative Party leader is wrapping up his campaign for the election and hopes to bring about an Alberta-Saskatchewan free-trade zone. The would-be premier says Lloydminster would benefit greatly from increased labour mobility and regulatory harmonization. 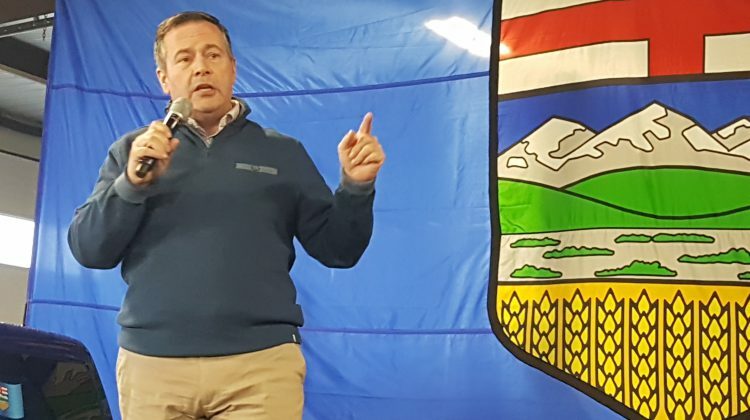 In an interview, Kenney told MyLloydminsterNow.com that he aims to have a “very close working relationship” with Premier Scott Moe and says the two have already spoken about such an agreement. Kenney believes the results would become a model for the whole nation. “We want to be a model for the rest of Canada, in knocking down inter-provincial trade barriers and barriers on labour mobility. 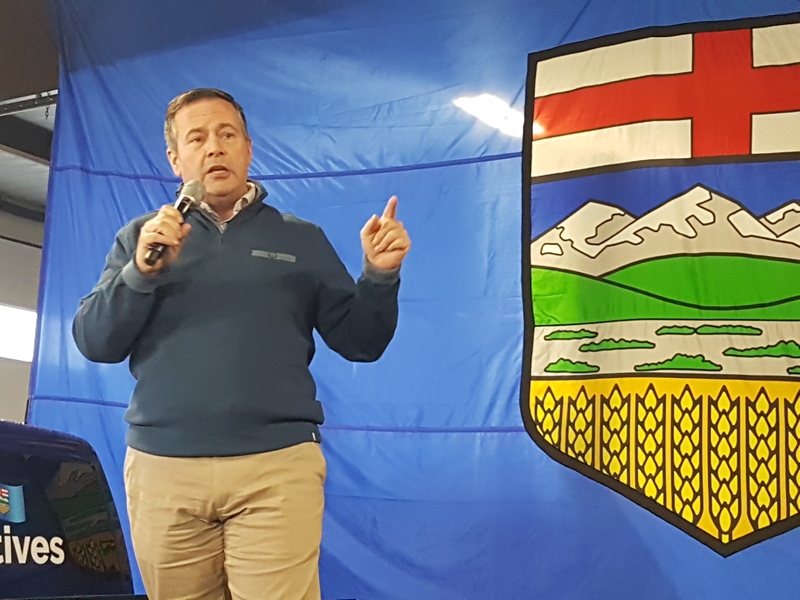 I think that will benefit Lloydminster in particular, where there continues to be unnecessary gaps both on the regulatory and professional sides between the two provinces,” says Kenney. Kenney hopes that, if the UCP forms government, he’ll have a meeting with Premier Moe shortly after the election to hammer out the details. There’s one part of free-trade he really wants to focus on: freeing the beer. Kenney believes current regulations on wine, beer and spirits are archaic, saying they date back to prohibition era policies. The Supreme Court ruled that the wording of the BNA is “ambiguous” and do not mean that Canadians can go to another province and buy beer under the assumption that the beer can be “admitted free” back to their home province. The ruling states that under Section 92, the provinces have the authority to impose regulations within their jurisdictions. 4th Meridian Brewing Company has the unique challenges of producing beer in a bi-provincial city. While they produce beer in Lloydminster, they do so as an Alberta craft brewery. Helen Hoffman co-owns the microbrewery and says that being an Alberta beer producer prevents her from selling beer into Saskatchewan. Venues like the Colonial Days Fair or the Gold Horse Casino cannot regularly carry her company’s product unless they make a special order. “So instead of sending a pallet worth of product to Regina one time, have one shipping fee, have it stocked and stored there in their warehouse, and have retailers buy it as they need it, every single order gets shipped whenever it gets ordered separately. And we’re paying a big shipping fee on every order that goes,” says Hoffman. Hoffman says she’s fought with the Saskatchewan Liquor and Gaming Authority to try and get around shipping product every time. Outside of special orders, she says there’s a lengthy application process to be stocked, including product samples, a marketing plan and a laboratory analysis of their beer. The process doesn’t even guarantee they’ll be accepted to sell in the province. As it stands, they’re shut out of selling on the Saskatchewan side of the border. Hoffman says a proposal to harmonize provincial regulations would greatly help her small business given that as of right now, she’s now making any money trying to sell on the other side of the highway. Currently, the New West Partnership allows for the western provinces to facilitate trade and labour mobility between them. Bi-lateral agreements are possible such as the one between Ontario and Quebec. The current partnership could be built on with another province to allow for even better trade. Though some experts are still skeptical of seeing something like this happen. Trevor Tombe, an economist at the University of Calgary, is one of those experts. He says that the problem has to do with each province’s government-owned wholesale distribution system. “Even here in Alberta, we look at private retailers and we think that we have a private distribution system, but we don’t. All the private retailers still get all of their inventory through the provincially owned wholesaler, in our case the AGLC,” says Tombe. Tombe says that Alberta does a better job at having more variety in its alcohol distribution system than Saskatchewan. It comes down to how much Saskatchewan is willing to liberalize its liquor market. Tombe says that ideally, both provinces would be willing to recognize both recognize each other’s products in a mutual recognition agreement. This would recognize the products produced in a different province as good enough in its own. Tombe says that harmonizing regulations line by line would be incredibly slow. MRAs have been practiced in other countries like Australia. Outside of such agreements he doesn’t see success trying to harmonize regulations any other way. However, he’s skeptical of seeing something like this, because it’s essentially ceding power. Tombe says he would be happy to be proven wrong about his skepticism, but strongly doubts such agreements would be approved nation-wide. He adds that Saskatchewan will host the Council of Federation in July and that we may hear more about this issue when the premiers meet.